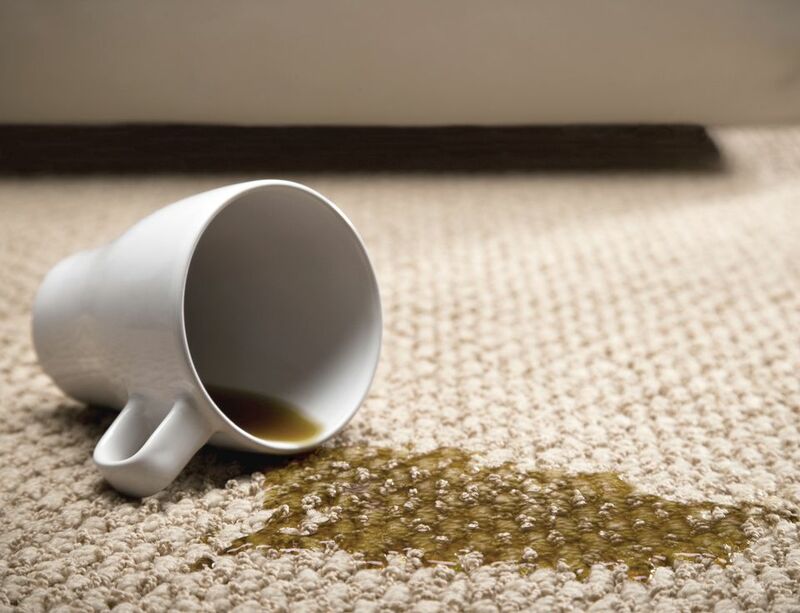 Whether you’ve got pets, kids or just a klutzy friend, chances are you’ve Googled, “How do I get a stain out of carpet” in the past few months. Some of the results will tell you to bring in a professional; others suggest all kinds of concoctions and old wives’ tales about what will work with certain stubborn stains. For those of us who take the time to buy organic at the grocery store and shop at farmer’s markets, it seems a bit contradictory to turn around and pour unknown chemicals onto our carpets every time a spill occurs. Think about the time that kids spend playing on the floor or that beloved pet cuddled up on the carpet. No one wants to worry about the chemicals in the carpet while playing Chutes and Ladders or petting Fido. So here are five ways to deep clean your carpets without mysterious chemicals, so that you can have both peace of mind and a fresh, spotless home. You knew it was only a matter of time until white vinegar showed up on the list, right? White distilled vinegar is a secret weapon to have in the pantry. Here is a recipe for a deep carpet cleaner that includes white vinegar, baking soda, and salt. Another secret weapon for cleaning is baking soda. A simple carpet-cleaning powder made up of a half a cup of baking soda with 10 drops of your preferred essential oil will quickly deodorize your carpet. Sprinkle it over the carpet and leave for at least half an hour, or longer if possible, then vacuum up well. You can also use this process on the mats in your car, a great tip after this rough winter. You can run your vacuum over the same spot in four different directions, or you can spot clean like crazy. Sometimes, however, the job calls for a carpet-cleaning machine. If you have a home that is mostly carpeted and you have pets and kids to clean up after, purchasing a carpet-cleaning machine or a vacuum with deep-cleaning options makes a lot of sense. If you don’t have a high-traffic home, renting a carpet-cleaning machine may do the trick. Just don’t buy the carpet cleaning liquid that is usually encouraged by the machine instructions, instead, make the one listed below! Isn’t it great when you can get a two-for-one deal? With this deep-cleaning homemade carpet cleaner, you can both save money and know exactly what is going into the cleaner. It cashes in at just about $1 per gallon. While this does include detergents and stain removers, at least you’ll know exactly what is going into it. Sometimes you don’t have the time, or the willpower, to create your own homemade solutions and concoctions. You’ve already got enough on your schedule, and learning to clean carpets isn’t high on your list of priorities. Thankfully, more and more professional carpet cleaners are becoming aware of the push for eco-friendly cleaning that is safe for kids and pets. Be sure to do your research about professionals that claim to be organic or chemical-free; some, unfortunately, use the terms loosely. So when spot cleaning and regular vacuuming won’t cut it, there are plenty of options to responsibly deep clean your carpet.